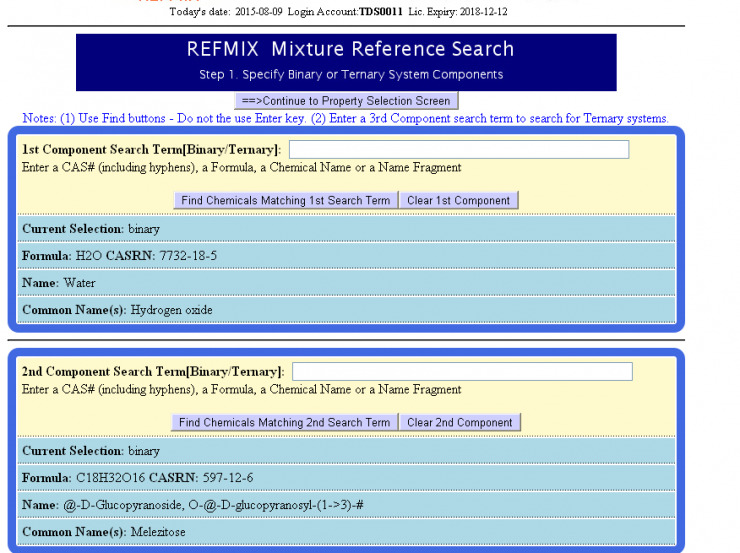 REFMIX is an efficient tool for searching published chemical mixture property data online covering over 28,000 peer-reviewed published references for almost 70,000 binary and ternary mixtures involving 10,615 organic, organometallic and inorganic compounds. 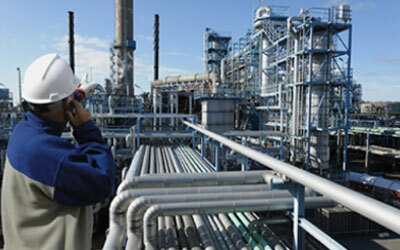 Included are industrial chemicals, pharmaceuticals, sugars and nucleosides, ionic liquids, amino acids, PCBs and other bioactive compounds such as pollutants and toxins. The literature citations retrieved by REFMIX are the most current and comprehensive available. They date back to 1848 and continue through the present. The REFMIX system is updated regularly. Chemists and engineers whose work involves the properties of mixtures can benefit greatly from this cost-effective way to find references to experimental mixture property data. Manual search methods are often laborious since many of the references retrieved lack the valuable experimental data sought. REFMIX saves its users precious time because the citations retrieved contain data for only the chemicals and properties of interest to the user.